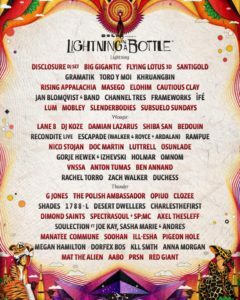 Lightning in a Bottle has once again released one of the brightest and most unique festival lineups of the year. Even though they have changed from their beautiful location of Lake San Antonio to Buena Vista Lake. Although we recommend that you don’t swim in the waters, the location seems to have worked in their favor. With only less than a month to go, the festival site is beginning to shape up nicely! 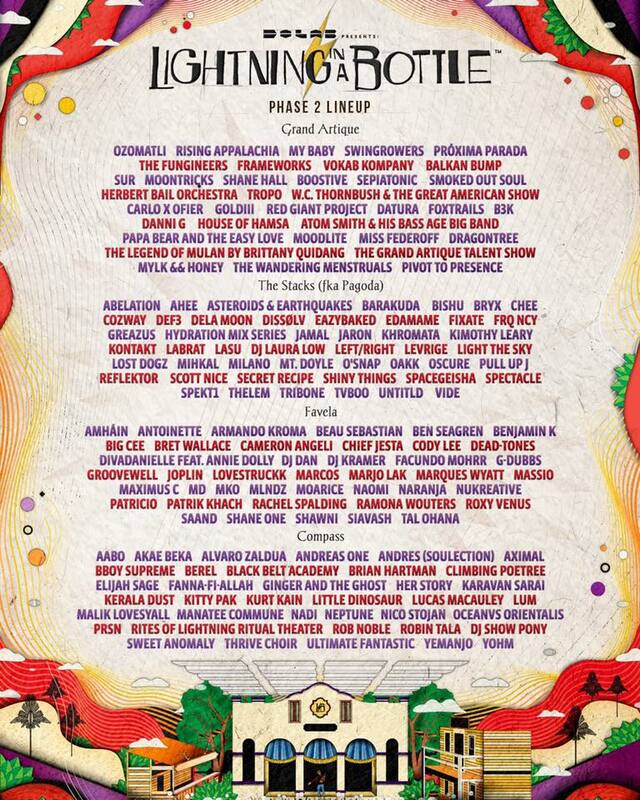 From May 8th to the 13th there will be a plethora of music to be experienced. 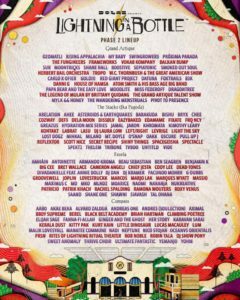 Check out their full lineup below! This extravagant festival is renowned for bringing the weird along with the west coast bass. 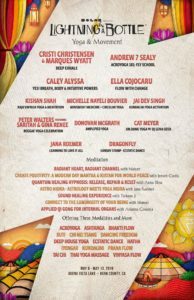 In this years addition some of the highlight artists that they are bringing are, Big Gigantic, Gramatik, Elohim, Shiba San, G Jones, Opiuo, Clozee, Shades, 1788-L, Charlesthefirst, (practically everyone at the Thunderstage,) Ahee, Ableation, Left/Right, Moontricks, and the Funingeers, just to name a few of the funky, groovy, bass heavy spectrum that Lighting in the Bottle has this year. 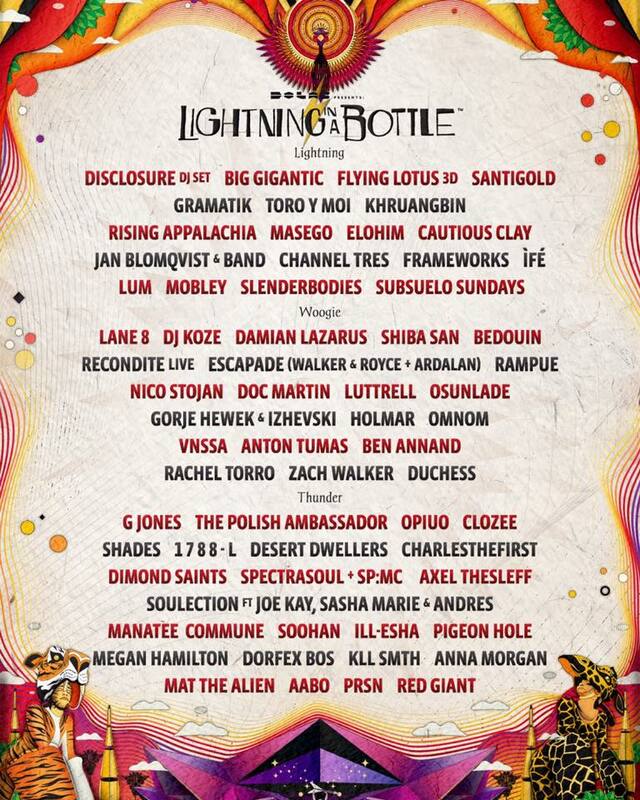 Of course there is more to Lighting in a Bottle than the outlandish lineup. Its the community. 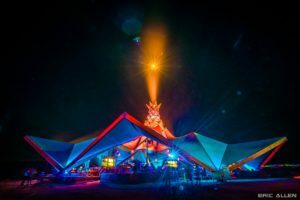 There is a sense of community like no other at this festival because of its long history, the incredible art, the workshops and well, that west coast vibe. 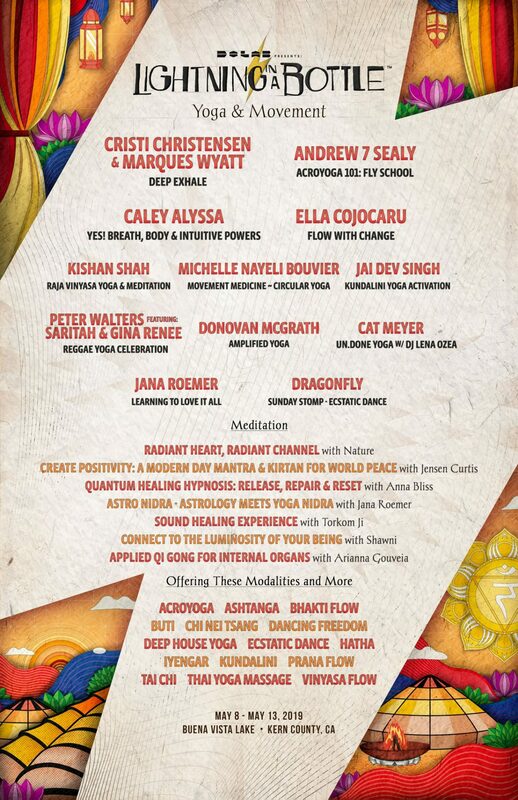 They put out a Yoga & Movement lineup that will make you wanna move. This entry was posted in Music Festivals, Previews & more. Bookmark the permalink.